Why do wood roofs need maintenance? Shakes cut from old growth cedar tend to last longer than the newer products currently produced. The dry climate of Alberta causes cedar to dry, curl, and crack more quickly. (Cedar lasts longer in wet climates). Dry and cracked shakes expose the felt between the courses, creating vulnerability to water penetration and leaking. Additional problems are ridge caps coming loose, improper flashing transitions, and improper installation. Pine shakes have been discontinued for a number of years. A major problem was created with the mixing of fir and spruce with pine. These alternate products soak up moisture more quickly, speeding up the rotting process. Pine roofs can have an extended life if rotten shakes are regularly replaced. Although treated pine has a better track record, the treatment process involves the use of chemicals linked to cancer. How often should a wood roof be maintained? Cedar shakes tend to be fairly maintenance free for the first 15-20 years after which the drying, weathering, and cracking concerns require inspection and maintenance every 3-5 years. As most untreated pine roofs were installed between 15-25 years ago, the increase of rot concern requires yearly inspections. Treated pine performs better and were likely installed between 5-15 years ago and should be inspected every 3-5 years. How long should a wood roof last? There are a few variables involved, such as weather, type of cedar, pitch of the roof, and the quality of the installation. On average; with regular maintenance, a medium thickness cedar roof may last 25-30 years, while a heavy cedar product may last 30-40 years. The lifespan of your pine shake roof is very dependent on its ongoing maintenance program. Unattended to; a pine roof may only last between 12-18 years. With regular maintenance and removal of damaged shakes, we believe a pine roof may last longer. Please note that pine shakes have been discontinued. 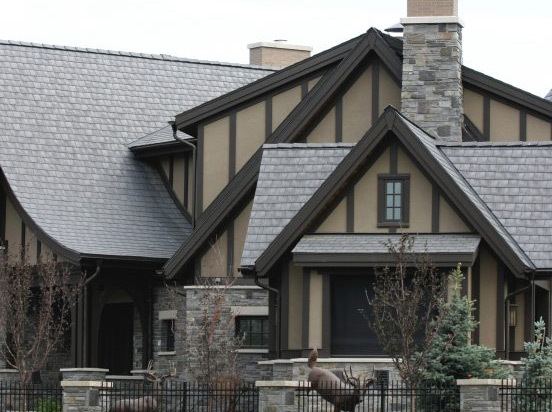 Using our knowledge on the performance of wood roofing products in Southern Alberta, we can provide detailed inspections of your shake roof. We would be pleased to discuss your repair and replacement options, working with you to come up with solutions that fit your budget. We have both short and long term solutions available should you wish to prolong the life of your current wood roof. We have a team of dedicated technicians who excel in these types of repairs, and staff ready to discuss ongoing maintenance programs with you. Sometimes a wood roof cannot be repaired and replacement is optimal. We are certified installers of a wide range of roofing products, and our staff would be pleased to help you find a solution that fits your budget. Financing options are available.